Charcot foot is a condition that causes a weakening of the bones in the foot due to significant nerve damage. This nerve damage can occur as a result of diabetes. 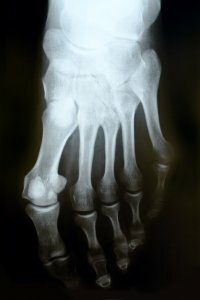 The bones of the foot can become weak enough that they fracture, and if you continue to walk on your fractured feet without seeking treatment, the structure and shape of your feet will begin to change. If you suffer from diabetes, you should regularly visit a foot specialist or podiatrist in Sugar Land to ensure that you don’t suffer from neuropathy or other dangerous foot conditions. Watch this video to learn more about the connection between diabetes and charcot foot. 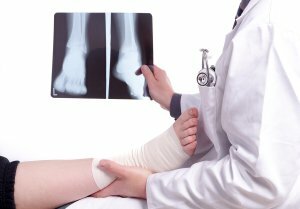 A foot specialist answers questions and gives advice to patients that will help them avoid foot surgery or amputation. 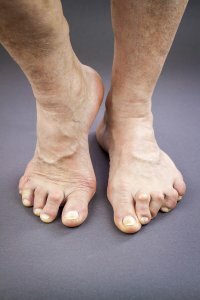 A bunion is a painful growth made up of bone and soft tissue that develops between your first and second toe. 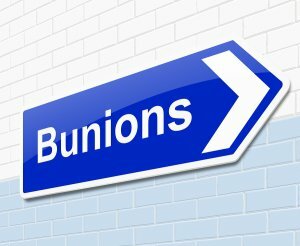 Bunions can make it very difficult to stand and walk comfortably. Bunion surgery performed by a respected podiatrist in Sugar Land has a high success rate in relieving you of bunions. Your podiatrist may recommend bunion removal surgery if you have particularly severe bunions, or if other non-invasive treatment methods failed to bring you relief. Prior to your bunion removal surgery, your podiatrist will perform medical tests to ensure that you’re a good candidate for the procedure. He will X-ray your lungs, check the condition of your heart, and screen you for illnesses. You may need to fast or discontinue use of certain medications in preparation for the surgery. Bunion removal surgery is an outpatient procedure that is performed under general anesthesia or a local anesthetic. Your surgeon will remove your bunion and will also repair the area between your toes to make walking more comfortable for you and prevent further deformity. The most common types of bunion removal surgery include osteotomy, exostectomy, and arthrodesis. In an osteotomy procedure, your surgeon will cut and realign the joint of your big toe. Exostectomy allows the surgeon to remove the bunion from the toe joint without realigning it. With arthrodesis, the surgeon will replace your damaged toe joint and correct the deformity with metal screws or plates. After the surgery, your foot will be bandaged and you will be taken to a recovery room, where you’ll remain for around three hours until the anesthesia wears off. You will not be fully recovered from the surgery for about five months. For the first two weeks post-surgery, your podiatrist may recommend that you wear a surgical boot or cast. When the cast is removed, you may have to wear a foot brace, using a walker or crutches to move around. You may be able to drive after two or three weeks, but should try to avoid walking.